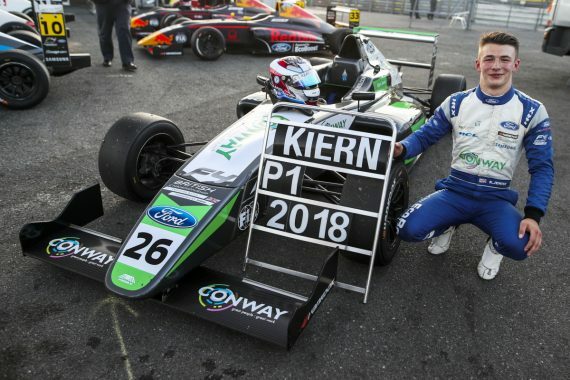 Kiern Jewiss really couldn’t have asked for a better 2018, winning the British Formula Four title in impressive fashion. 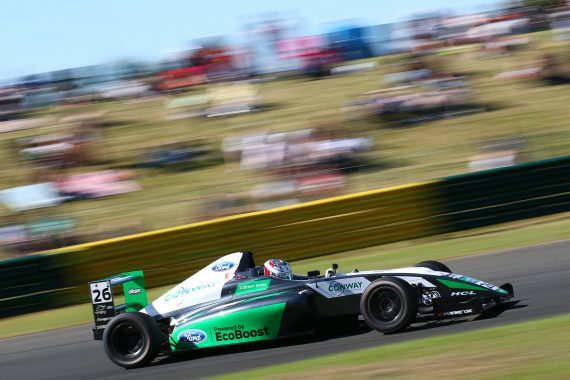 Jewiss was one of the standout performers in the championship last season, driving the Double R prepared Ford Ecoboost machinery. Speaking to Kent Sports News about his successful season, Kiern said: “You’re right, it honestly couldn’t have! When I jumped in the car for the first time I could tell it was going to be a good year. Winning the F4 title as a rookie in a new team and a new series is a massive achievement and one that he will be proud of years to come. He added: “I’m extremely proud. To be crowned champion in my first season is a massive achievement and one that only a handful of drivers have ever done across the world. Kiern had a mixture of emotions when he crossed the line having sealed the 2018 title, there was one overriding emotion as he explained. 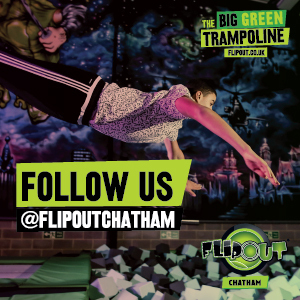 “The very first feeling was relief that I had done it then it was sheer jubilation! Pulling up at Parc Ferme and seeing my team, sponsors, friends and family all over the moon was a proud moment. “Although it’s my name on the trophy, I felt like I had done it for all of these people that had supported me throughout the season. “I would say the pace and performance were always there from the start but it was just a case of channelling it all into race results. Picking my fights was key to winning the championship this season. 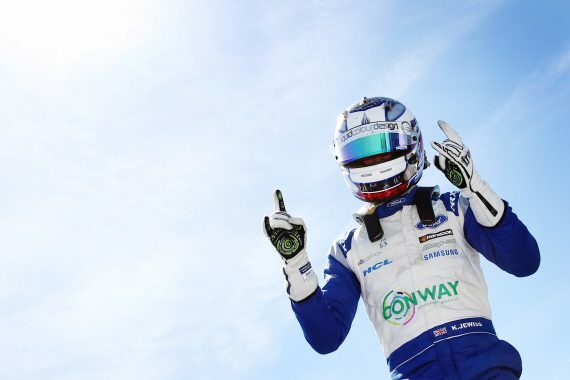 As well as honing his race craft in 2018, Kiern was one of the most consistent drivers on the grid with six wins, eight second places and four third place finishes. He said: “Consistency is the key to winning championships. You look at Jonathon Hoggard who picked up the most race wins this year but finished more than 100 points behind me in the standings. There were several races that stood out for Jewiss, but in terms of highlights there was one round that stood out for him above all the others. He added: “Donington Park has to be my most memorable race. After a mechanical problem in qualifying, I started way down the field and got punted off in the first race of the weekend, meaning I started race two from the very back. 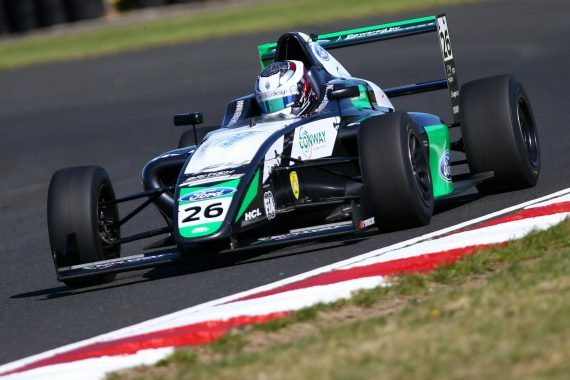 Finally we asked Kiern what his plans were for 2019, would that be back to defend his F4 title or would he be targeting a new championship to race in. 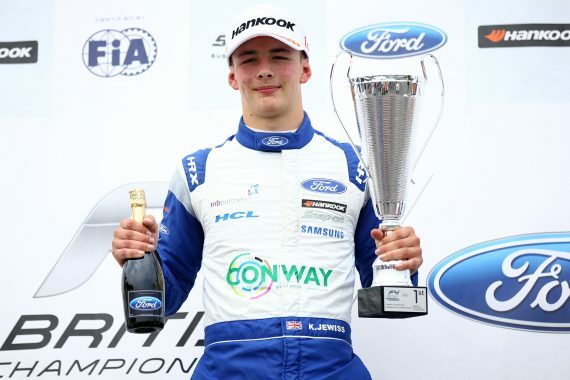 “My plans for 2019 aren’t quite finalised yet but I’ll be leaving British F4 and taking the next step on the motorsport ladder. “I have achieved everything I set out to achieve in F4, so the goal now is to do it in F3, then F2 and then hopefully F1. This entry was posted	on Friday, January 18th, 2019 at 9:00 am	and is filed under Featured, Motor Racing. You can follow any responses to this entry through the RSS 2.0 feed. Both comments and pings are currently closed.